A hugely enjoyable and easy read. The characters are well developed, believable and likeable. Although it was an easy read, it showcased some serious and confronting issues. It reminded us that although we all appear fine on the surface, a number of us are secretly fighting our own battles. The book also demonstrated the playground politics often found in schools and we all admitted to comparing the characters to some of the parents at our schools! The book at times felt like a screenplay and we questioned whether that was necessary. There is a great, unexpected twist at the end which had us all talking. Overall a fantastic book and a must read for kindergarten parents! 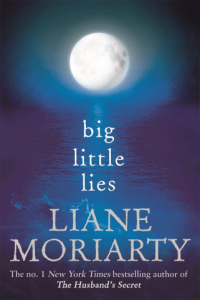 This entry was posted in Australian Authors, Book Club Kits, Fiction, Recommended Reading and tagged Big Little Lies, Book Club Kit, Liane Moriarty, Parramatta Library by admin. Bookmark the permalink.